This sub-basin is dominated by a system of wetlands that have substantial effect on river flow. The Sudd wetland, the second largest freshwater wetland in the world, is a major feature of this sub-basin. Nearly half of the river flow that enters the Sudd evaporates (or is transpired through plants). The mean annual flow at Mongala for the period 1905 – 1983 is estimated at 32 BCM. There is no flow measuring station at the outflow of Bahr el Jebel from the Sudd. 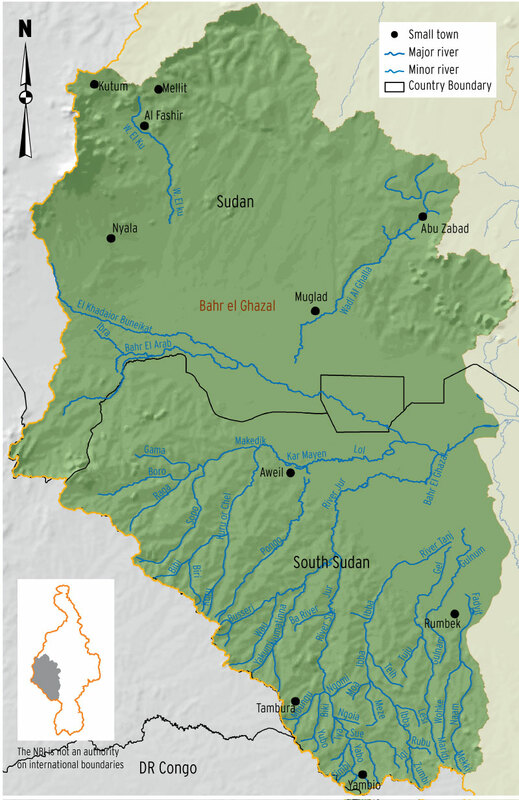 However, estimates based on the flow of the White Nile at Malakal and the Sobat contribution (measured at Hillet Duleib) shows that the Sudd outflow is about 17 BCM.